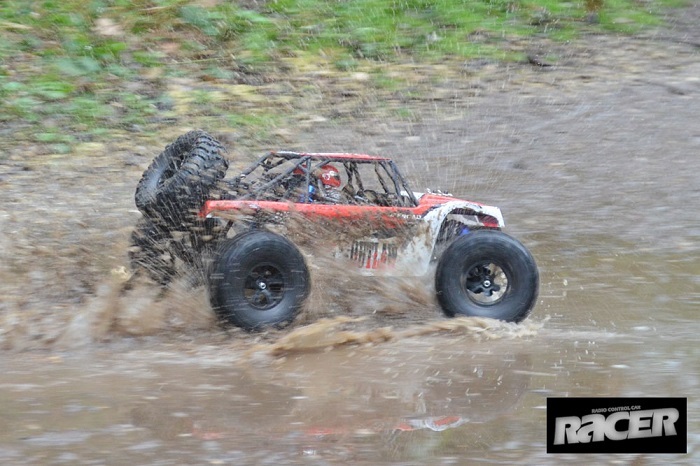 Παράδοση γι αυτό το προϊόν μετά τη Τρίτη 23 Απρίλιος, 2019. 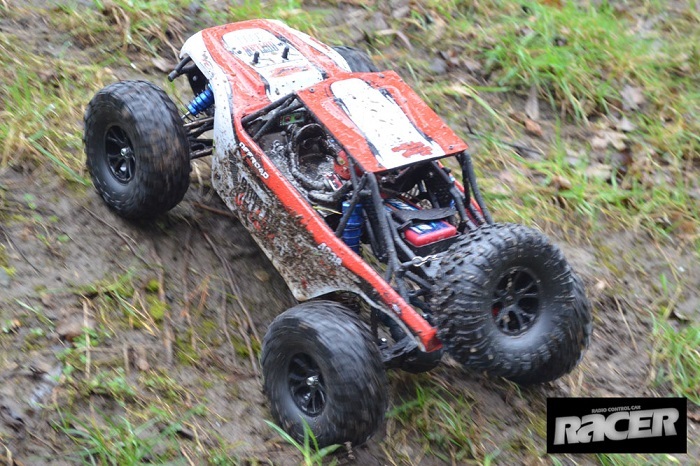 FTX OUTLAW 1/10 BRUSHED 4WD ULTRA-4 RTR RC BUGGY. 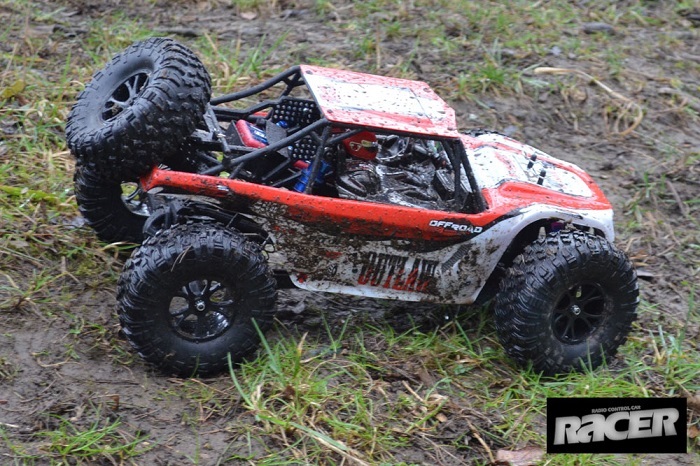 Get ready for a showdown with the Outlaw, the latest addition to the FTX off road buggy range. 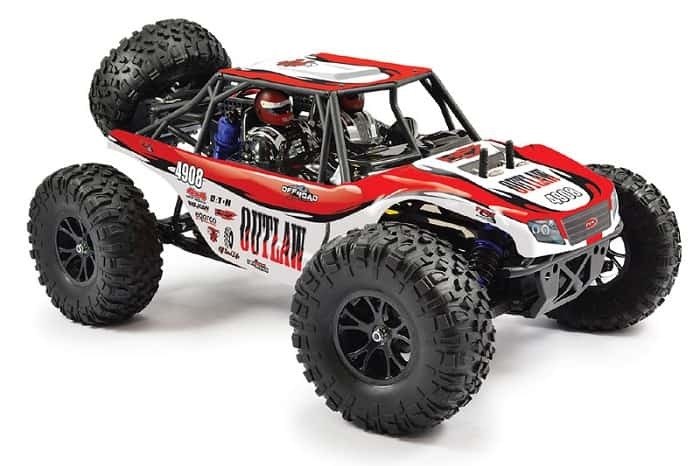 Loosely based on the powerful Ultra 4 buggies that take up the challenge of racing through the USΆ west coast deserts, the Outlaw is the perfect mix of RTR entry level fun with a bit of scale realism thrown in to boot. 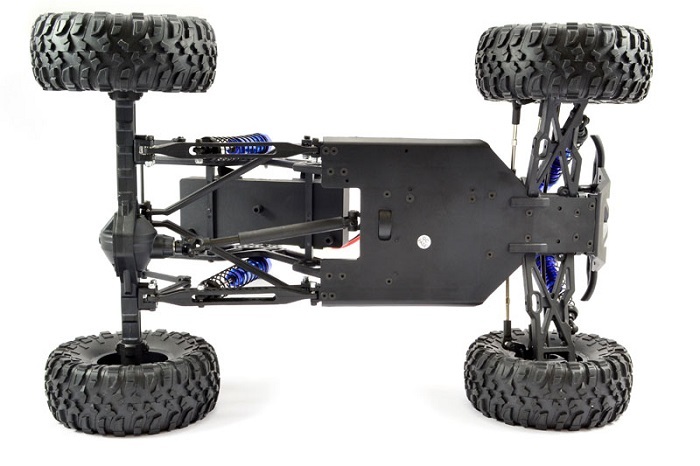 Semi-scale trailing arm rear suspension sets the Outlaw apart from other off road buggies in the FTX range. 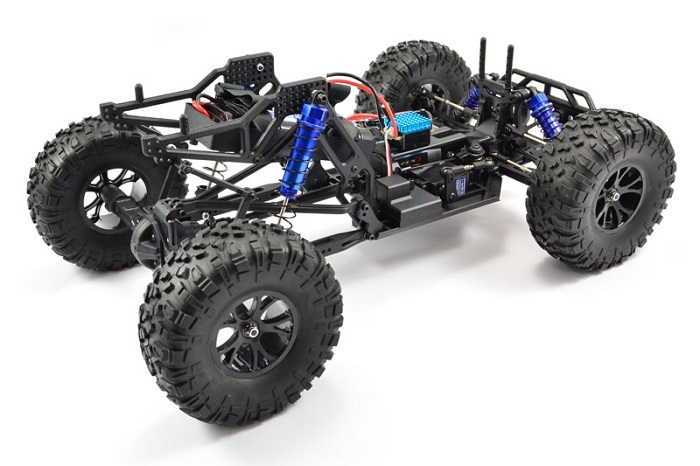 This long travel suspension, with huge articulation is what full size U4 buggies use to tackle the uneven desert surface. 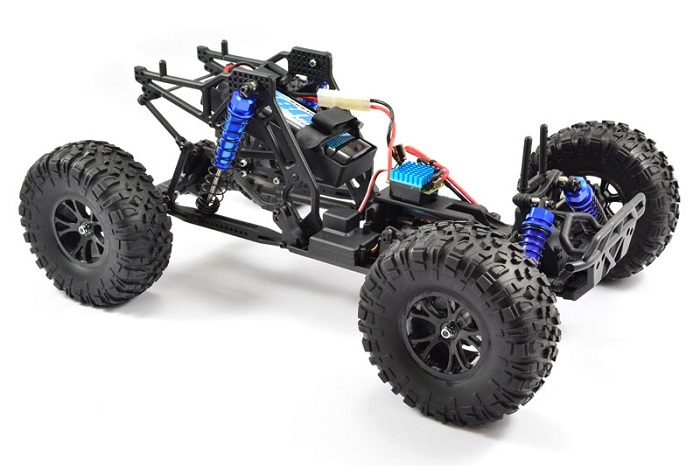 With drive to the rear axle assembly via a telescopic sliding diveshaft along with multi-position shock absorber mounting points, the Outlaw can handle some of the roughest terrain. 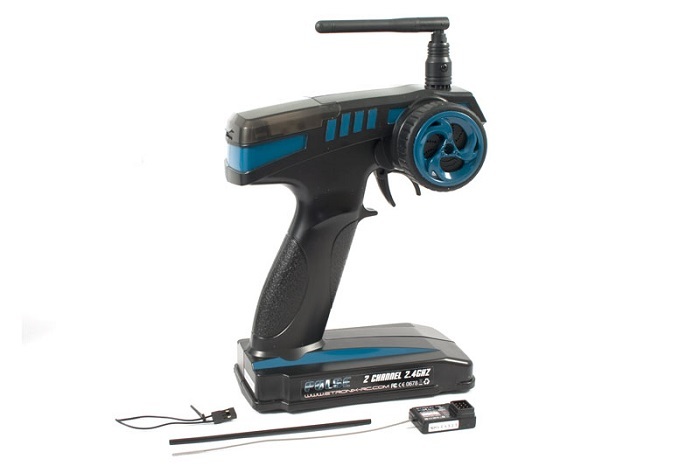 With established Etronix radio equipment, the brushed waterproof speed control, 550 motor and Voltz NiMH battery are the ideal combination for beginners. 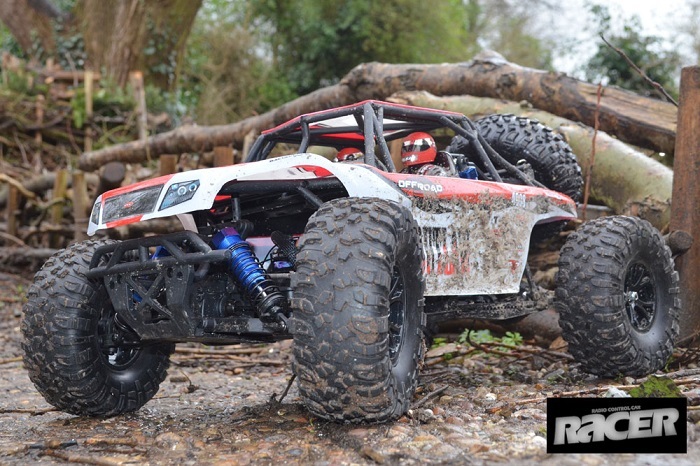 Plus with the sweet addition of full aluminium oil filled shock absorbers and scale looking all terrain tyres the Outlaw is the perfect choice RTR for enthusiasts looking for a rig with a bit of character!